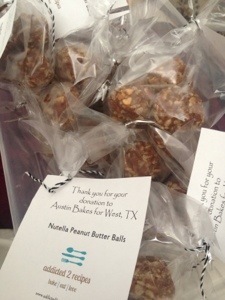 This past weekend I was fortunate enough to be able to bake some goodies for the Austin Bakes for West, TX bake sale that took place in central Texas. When the plant explosion first happened last month, I, along with many other fellow Texans I am sure, was up late trying to get as much information as I could on all those affected by this tragic event. My heart broke for the firefighters who were caught in the explosion and also for those whose lives were forever changed because of that explosion. So many people lost their lives, their homes, their jobs and some may have even lost hope that night. I wanted to do something to help and participating in this bake sale was one small way I could do something. I’m so thankful to be part of a blogging community that is always giving back to others. In addition to these unbelievably flavorful Snickerdoodles, I also made the Nutella Peanut Butter Balls and Pecan Praline Mini Bundt Cakes that I’ll also share on the blog. In a medium bowl, whisk together flour, baking powder, baking soda, and cinnamon. Set aside. In a large mixing bowl, cream together margarine and 1 cup sugar until mixture is light and fluffy. Add in the egg and maple syrup and mix until combined. Slowly mix in the dry ingredients until just combined. Using a small bowl, mix together the topping ingredients. You will need to mix together until the maple syrup is mixed thoroughly with the sugar. 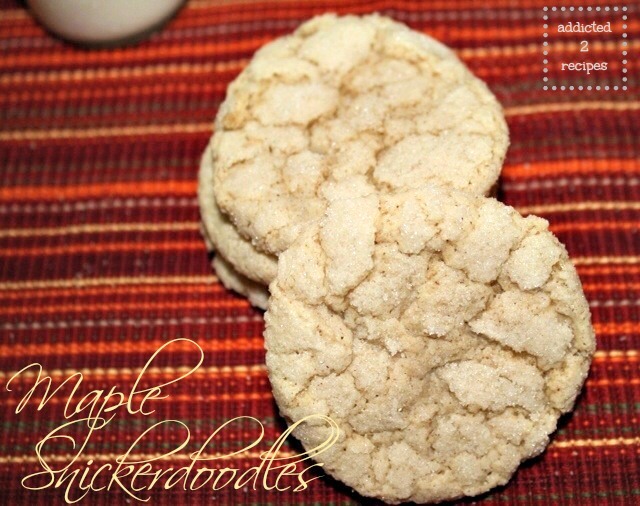 Place cookies on an ungreased cookie sheets and bake for 8 to 10 minutes. Cookies will be soft to the touch. Remove from cookie sheets and allow to cool on wire racks. Makes about 28 cookies (depending on how big you make them).